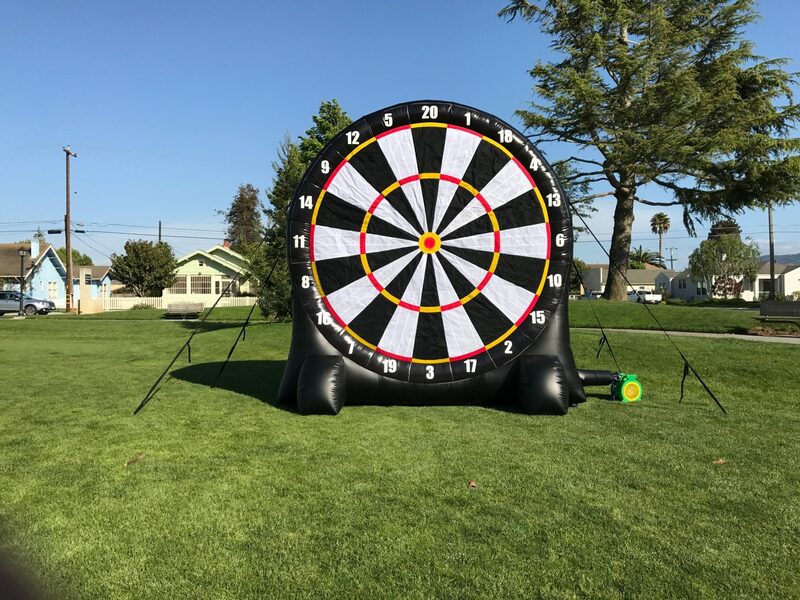 Play our Giant Velcro Soccer Dart Game Rental and you will be addicted at first kick. How high can you score on your 4 soccer kicks? We supply 4 Velcro balls for you to compete against your opponent. 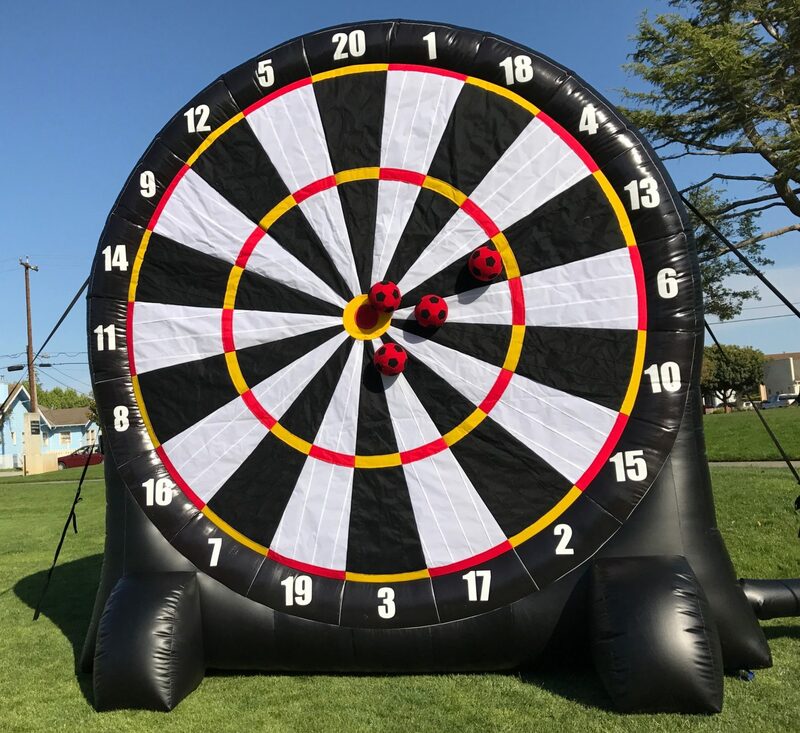 Each player takes a turn kicking their velcro soccer ball at the giant inflatable dart board. 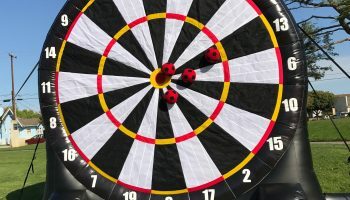 After all 4 balls have been kicked the player with the highest score is the winner of that match. 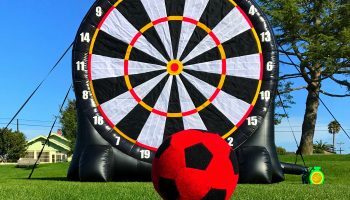 Giant Velcro Soccer Dart Game Rental is a perfect team building corporate game rental and is a favorite at any soccer themed or Olympic game party. 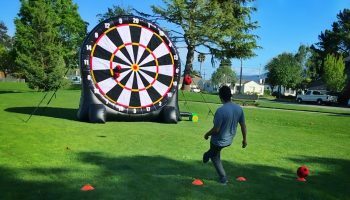 The Giant Velcro Soccer Dart Game Rental can be rented on grass or cement. 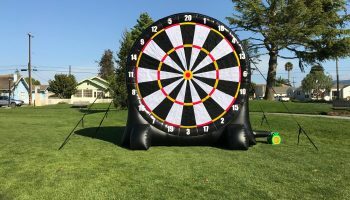 Let our staff create a tournament for your next party. We rent amazing interactive giant sports themed games that you don’t see anywhere else. 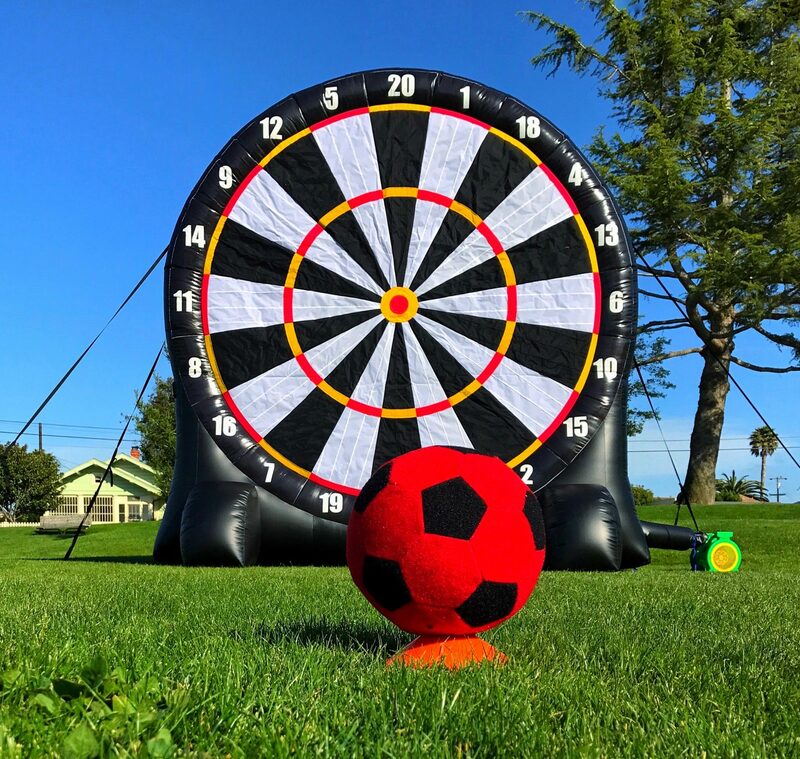 Give us a call to have us reserve this Giant Soccer Dart Game Rental in the San Francisco, San Jose, Oakland, Palo Alto, Santa Cruz, Monterey Bay, and most other California Bay Area cities. 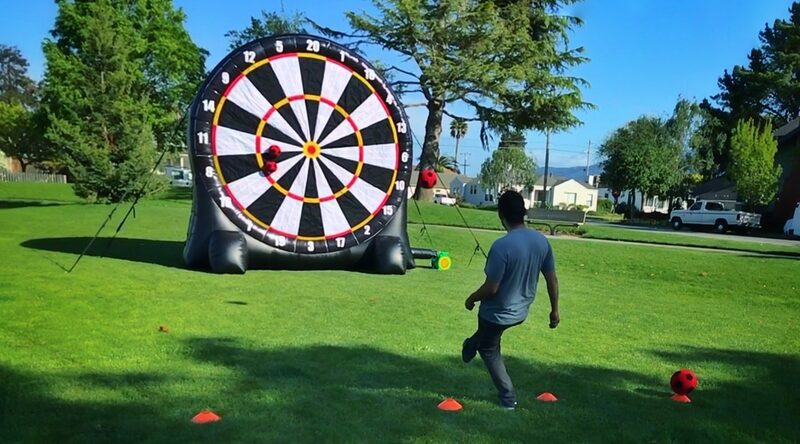 Watch this amazing inflatable soccer Dart game by clicking on video button or click here. For reservation for this product please call our office at 1-888-630-3866 or send us an email. We highly recommend a flat surface with either grass or cement (no dirt). Space required at least 20 feet in length x 20 feet in width x 18 feet in height. Rental Rate 249.00 for 4 hour rental.